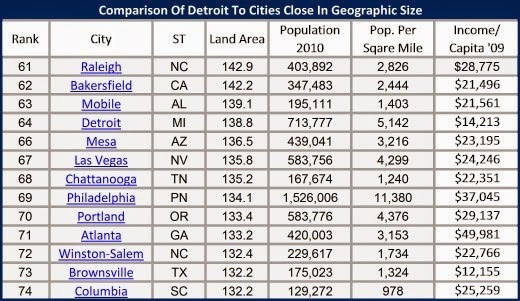 OK Detroit, we know the city cannot continue to operate the way it has. The budget must balance, meaning the revenues coming in must at least equal the expenses going out. We know the city experienced a steady decline in population and the average household income is well below the average for cities near our geographic size. Show us our budget. We want to understand. We cannot endorse what your plan is unless we see it. The population must grow and it must be green like in money. We should not care about the color of their skin and whether they are immigrants. We recognize the city must grow its tax base now. What plans do you have to make this happen? Detroit needs to use all the assets at its disposal. The city has many vacant houses that with some repair and improvement can quickly turn into homes. The city and its residents must accept the fact that these houses need to be given away to the right people with the right strings attached including having a job, living in the house as a primary residence, proof that they can afford it and they will upgrade the house, if needed, within a certain time period. There color does not matter. There will be some living in Detroit that will ask why not me. The answer is for the sake of the city to survive. If you want your city to be a vibrant city you will need to make this sacrifice. The result will be you will be in a vibrant city. The city has a downtown area where the entertainment district is attracting the regions youth for its night life. The city has two good university's that expose students to the strengths of the city. The city must capitalize on these strengths without delay. A main ingredient to attract families to Detroit is its schools. 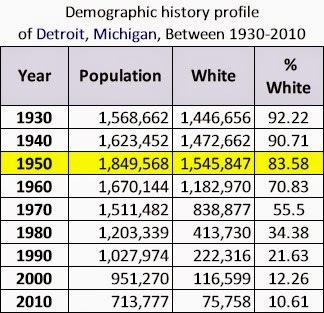 A family presently living in the suburbs is not going to move to Detroit unless it knows their children will receive a better than average primary and secondary education. Education must be one of the pillars for the City's renewal to become a reality. We are smoking something stronger than cigarettes if we think the city can attract middle class families without good schools. Therefore, let's be real with the budget and include a plan as to how the city is going to improve its public school system. It is going to take money and where will it come from? I appreciate some foundations stepping up to save the art at the DIA. but honestly if the objective is to save Detroit, pouring extra money into education is a much better investment. As an added incentive to get middle class families to move to Detroit we need to stop talking and institute Detroit Promise, which would be copied from a plan in place called Kalamazoo Promise. Give Governor Snyder credit He is the one suggesting this. This plan would give a family the opportunity to provide a college education for any child graduating from a Detroit high school with no out of pocket cost for tuition and books. This could save more than $25,000 over the students four year stay at a university. It will be hard for a family living in the suburbs to turn its back on a free home and a free college education for its children. This can work but action and support by Detroit's citizens is required. How can they support anything they have seen the numbers?